Russia has not replied to the extradition request. The National Police of Ukraine have put Russian national Vladimir Tyurin on a wanted list. 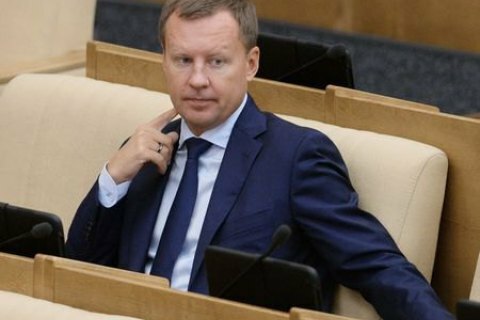 He is suspected of killing former Russian State Duma MP Denis Voronenkov, a source has told LB.ua. In his words, Tyurin was declared wanted on 14 March because Russia had not replied to the extradition request sent by the Ukrainian Prosecutor-General's Office. The request was sent on 9 October 2017. Ukraine will soon contact Interpol to put Tyurin on an international wanted list. Voronenkov was killed outside the Premier Palace Hotel in central Kyiv on 23 March 2017. His killer Pavlo Parshov was wounded by the ex-MP's guard and later died in a hospital. The Prosecutor-General's Office said in October that Tyurin, known as the leader of the Bratskaya criminal ring in Russia, ordered Voronenkov's assassination for both political and personal reasons because the ex-MP was married to his former civil partner.